The Rt Hon Lord David Owen CH FRCP, Außenminister a.D.
David Owen was educated as a physician at Sidney Sussex College, Cambridge and St Thomas’s Hospital, London where he was a Neurological and Psychiatric Registrar from 1964 to 1966 and Research Fellow in the Medical Unit from 1966 to 1968. He is an Honorary Fellow of Sidney Sussex College and the United Medical and Dental Schools of Guy’s and St Thomas’s and a Fellow of the Royal College of Physicians. In the early 1980s Lord Owen served as the Treasurer of the Palme Commission on Disarmament and Security Issues and was also a member of the Independent Commission on International Humanitarian Issues; Carnegie Commission on Preventing Armed Conflict; and from 1990-2001 Chairman of Humanitas, a charitable organisation dedicated to public education on humanitarian issues. Lord Owen is currently a Director of the Center for International Health and Co-operation which has established an intensive four-week diploma course in International Humanitarian Assistance held annually in Geneva and New York. Lord Owen was Chancellor of Liverpool University from 1996-2009. Lord Owen has been associated with several topical campaigns. He was Chairman of New Europe from 1999-2005, a cross party organisation that successfully campaigned against the UK adopting the euro. In January 2010 prior to the general election he helped establish a new website, www.charter2010.co.uk, a forum and information source aimed at planning for a hung parliament. In March 2011 he joined the “No to AV, Yes to PR” campaign. In 2016 believing that the EU had become dysfunctional, and opposed to the inexorable direction towards a United States of Europe, he concluded it was in the best interests of the UK to leave the EU and supported and campaigned for Vote Leave in the EU referendum. He is Chairman of the Trustees of the Daedalus Trust charity which promotes research into personality changes associated with the exercise of power in all walks of life. Lord Owen concentrates his main efforts on speaking on international affairs and campaigning to reverse the deeply damaging effects of the 2012 Health and Social Care Act. He played an active role in the Campaign for the NHS Reinstatement Bill 2015: www.nhsbill2015.org. 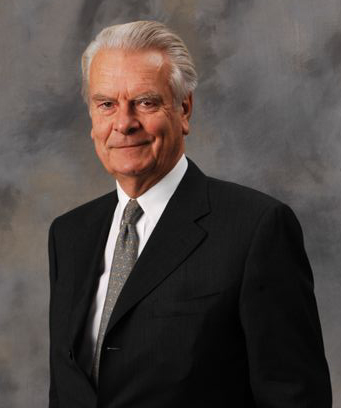 Lord Owen has retired from active business interests but his past interests have included Chairman of Europe Steel; consultant to Epion Holdings and USM Holdings; non-executive Director of the US healthcare company, Abbott Laboratories from 1996-2011; and non-executive Director of Hyperdynamics Corporation from 2009-2014. He is the author of numerous publications in the field of health and politics including his autobiography, Time to Declare (1991) Balkan Odyssey (1995) and The Hubris Syndrome (2007 & 2012). He also published in 1992 an anthology of poetry Seven Ages: Poetry for a Lifetime, proceeds of which are donated to Great Ormond Street Hospital. In Sickness and In Power: Illness in Heads of Government, Military and Business Leaders since 1900 (hardback 2008, updated paperback 2016) is a unique study of illness in Heads of Government during the last 100 years and considers how illness – both physical and mental – can affect the process of government and decision-making. The updated 2016 edition includes additional chapters featuring examples from military and business life. In 2009 Liverpool University Press published Lord Owen’s book Nuclear Papers which gives a new insight into the background and arguments around the last major strategic study of the UK’s nuclear deterrent, making available for the first time newly declassified government papers on nuclear weapons. Also in 2009 an updated, abridged version of his autobiography was published by Politico’s entitled Time to Declare: Second Innings. In 2012 a paperback and ebook entitled “Europe Restructured: The Eurozone Crisis and its Aftermath” was published. This set out the history of the UK’s equivocal relationship with the European Common Market, European Community and now European Union and suggested a blueprint for the restructuring of Europe to accommodate both those who wish to move towards a more integrated eurozone and those who wish to join members of the European Economic Area in a wider Single Market European Community. In 2013 Lord Owen edited a book on Bosnia-Herzegovina which highlights the elements of the Vance-Owen Peace Plan which are of continuing relevance in guiding the present political debate of a still deeply divided country. The book releases for the first time fascinating primary source material of the intense international political activity in 1992-93. In 2014 Lord Owen wrote The Hidden Perspective. The Military Conversations of 1906-1914 (Haus Publishing) in which he argues that the outbreak of war in 1914 was far from inevitable, and instead represented eight years of failed diplomacy. In the same year he released The Health of the Nation: NHS in Peril (Methuen) which presents a powerful case for the repeal of the worst aspects of the Health and Social Care Act 2012 and for the restoration of the NHS to its traditional values. To listen to the podcast, please click here: “What makes us Human” interview. In 2016 Lord Owen’s latest book was published entitled Cabinet’s Finest Hour. The Hidden Agenda of May 1940 (Haus Publishing) in which he makes a powerful case for seeing the vital British decision to fight on against the Nazis in May 1940 as the greatest moment for Cabinet government and collaborative politics, providing profound lessons for contemporary politics. His American wife, Deborah, is a Literary Agent. They have two sons and a daughter.